Looking for sustainable, organization practices for your home without extra time or energy? This guide will help you build healthy habits to eliminate the habitual decluttering, beat organization overwhelm, & finally start seeing long term results. Take your home to the next level & begin seeing long term results. Your home is sacred space & can be a place for wonderful memories, blossoming relationships, and the many milestones of your family’s lives. The Completely Organized & Clutter Free Series started as just a few tips and tricks that I picked up when my husband and I moved from a 450 sq ft apartment into a 1700 sq ft house. As the series took off, I started to work on what I did in my daily life to keep my house decluttered & organized without having to take on big projects all of the time. this Companion Guide was born. Old routines & unsustainable habits are what drive us to keep going back again & again for deep, all-over decluttering & organization practices. And these practices lead us to waste time, money, & energy. 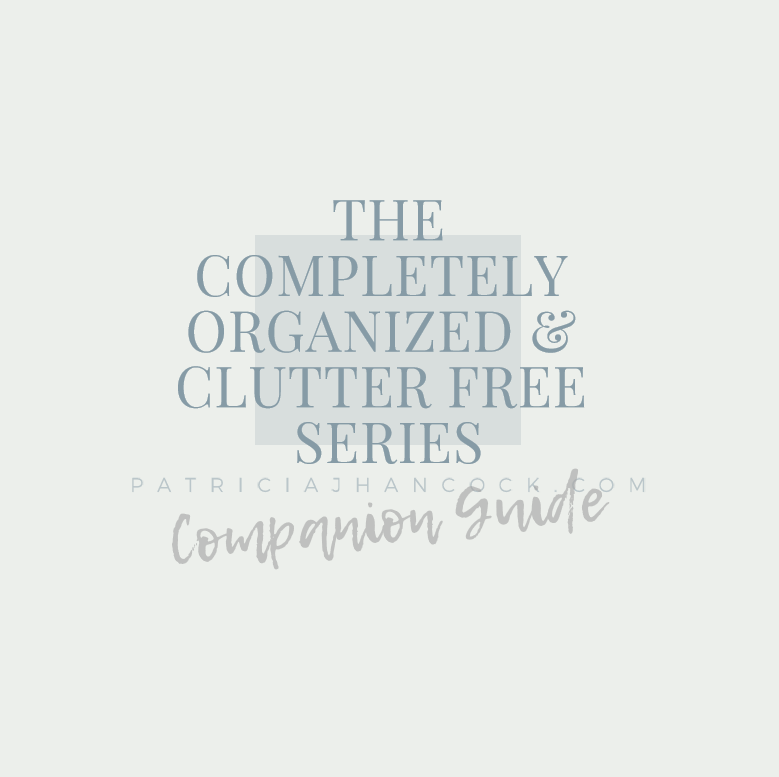 Along with the Completely Organized & Clutter Free series, the Companion guide covers building healthy habits & gives you the tools & resources to begin a better path today. Could you imagine that the Completely Organized & Clutter Free series was the last big declutter & organizing project you ever did? The Companion Guide makes that a reality. As with the series, the Companion Guide is mindful of your schedule and completely customizable. How you choose this series is up to you; each room’s guide is made to be flexible for any lifestyle and any sized space. An easy & thorough Storage Organization Printable Binder and Printable Labels for easy tracking Another game changer for me and made my items so much more easier to access & find when I needed them! Learn how to beat the top two things that hold us back from truly getting our homes functional: sentimental items & decluttering overwhelm. We dive into the why and how we can find a happy medium with real life tactics that don't involve moving or getting rid of everything. My own digital calendar for scheduling your real-life goals from your Goal Mapping workbook and an exercise that’s going to take you from dream home goal to real life home. Since I didn’t go digital until just this last year, I’ve also included a printable calendar layout and both of them have accompanying mapping exercises to get you from dream to DONE! 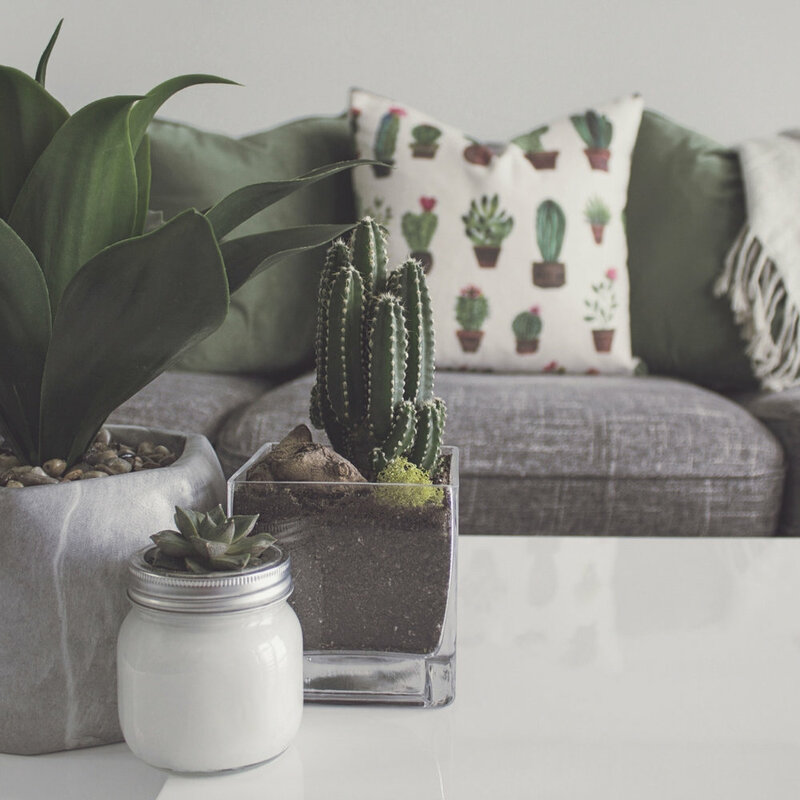 We also look at Micro-Goals and how we can apply them to your decluttering & organization to keep your home balanced even after the big round. Micro-goals are small, every day tasks that don’t take any time yet they catapult you towards your big goal. Everyday worksheets and printable weekly planners to kick clutter to the curb for GOOD. Ready to never do a huge decluttering project again? We go over Daily Tidying Routines that take away the need for big projects so the Completely Organized & Clutter Free series is the last big project you’ll ever need to do. We automate, break down, and zoom in on what that means & how it’ll look for you. Say hello to the best thing to every appear in calendar form! Grab my own daily tidying routines on a digital and printable calendar, along with my own daily worksheets that I keep in my Organization-organization binder. I know what it’s like to feel like there’s just too much, that this is how it’s going to be, but I didn’t give up. I researched for months and found sustainable solutions and what really works to keep my home balanced and overwhelm-free. And I want you to be able to shortcut your way there without having to do the months of research that I ended up doing. Everything that I learned, tested, and continue to use today is right here in this guide and it’s designed to be customized & personalied to your schedule and lifestyle. ready to stop the habitual decluttering? COMPLETELY Organized & Clutter free companion guide here! If you’re serious about making this year the year that you break free from clutter, why reinvent the wheel? This companion guide takes all of the guess work out of what works and what doesn’t work because it’s made to be personalized. Everything in this companion guide is designed for you to plug in your schedule, and help find the time and know the process to take to stay organized. You deserve to spend your time not pulling out all of your items to go through them again. This guide focuses on what’s important, and that’s your long-term goal of a completely organized & clutter free home for good. Pick up your Companion Guide today! Feel free to use the form below to get in touch! Thank you! I’ll talk to you in a bit!